If you think your corned beef brisket is too large for your family, think about the many options you have for the leftovers. Leftover corned beef isn't just for sandwiches; use it in soups, casseroles, hash, and breakfast egg bakes. 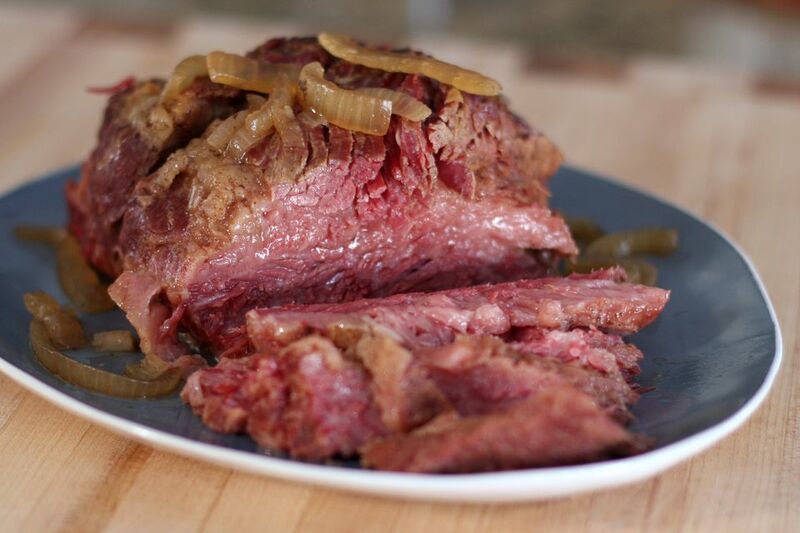 If you want to have leftover sliced or diced corned beef, choose a flat cut brisket or corned eye of round roast. For looser, shreddable meat, choose the point cut. If you have leftover vegetables with your corned beef, you might be able to repurpose everything, from the cabbage to the carrots and potatoes. Add some of these excellent recipes to your repertoire. 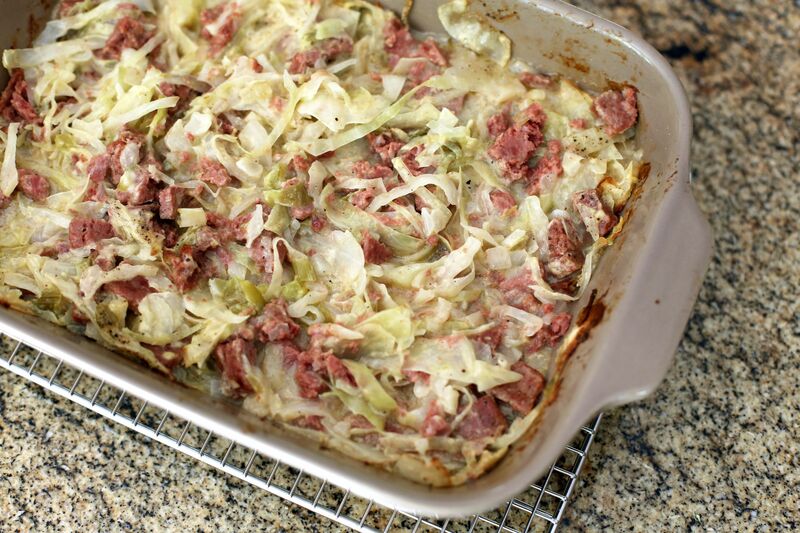 This quick and easy corned beef and cabbage casserole contains only five ingredients. Feel free to add a topping of shredded Swiss or cheddar cheese to the casserole just before it's finished baking. You can also cut down on the baking time by steaming the cabbage first. Use leftover diced corned beef or deli corned beef in this fabulous corned beef and cabbage soup. If you have lots of leftovers from your corned beef and cabbage dinner, you can use them all in this dish. Serve this soup with a salad and hot buttered biscuits or dinner rolls for a delicious meal. Freeze individual portions and you can set aside quick lunches for the week. This corned beef hash makes a delicious meal with baked beans, or served with eggs in the morning. If you're looking for an easy, basic recipe for corned beef hash, this is an excellent choice. The hash includes cabbage and carrots, too. Use your leftover corned beef in this reuben casserole with crumb topping or get it from your local deli. You can even use canned corned beef in the recipe​ but chill it first to make it easier to slice and dice. Serve this hearty casserole with a tossed green salad or sliced tomatoes. The Reuben sandwich includes corned beef and sauerkraut, while the Rachel usually contains turkey and coleslaw. Rye bread, Swiss cheese, and Russian or Thousand Island dressing are classic ingredients in both sandwiches. Use leftover cooked corned beef or deli corned beef in this creamy slow cooker corned beef and cabbage chowder. Your leftover potatoes, cabbage, and carrots are also repurposed in this easy soup. A leftover corned beef dinner makes a tasty stuffing for cabbage leaves. These corned beef and cabbage rolls are served with a cheese sauce, or omit the cheese and serve them with a simple thickened white sauce. This is a delicious one-dish corned beef and potato bake meal, and it's incredibly easy to prepare. Use Swiss cheese in the casserole or use a combination of Swiss and cheddar or a cheddar jack blend. Corned beef, sauerkraut, Swiss cheese, Thousand Island dressing, and noodles are combined in this enticing reuben noodle casserole. It has a rye breadcrumb topping for the perfect finishing touch. This corned beef casserole gives you a whole meal in one baking dish. The combination includes leftover corned beef, spinach, noodles, and a french-fried onion ring topping.